One thing you won’t see mentioned much in the new U.S. Dietary Guidelines: red meat. Nutrition experts know that to fight back against our national epidemic of obesity, it’s important that we eat red meat only sparingly. But the guidelines, a product of the U.S. Department of Health and Human Services and the U.S. Department of Agriculture, show the heavy hand of the food industry in what they say, and more importantly, what they leave out. That’s the criticism from the Harvard School of Public Health, which has a new article on the subject in its latest newsletter. * Too lax on refined grains — white bread, white pasta, white rice. * Too little Vitamin D. Most Americans need 1,000 milligrams a day, which is hard to get from food alone. * Too easy on sodium. Most Americans should only consume 1,500 milligrams — a teaspoon and a half — per day, but the guidelines allow 2,300 milligrams for everyone but “high risk” groups. 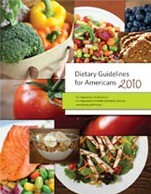 You can read the full dietary guidelines here, and the Harvard critique here. 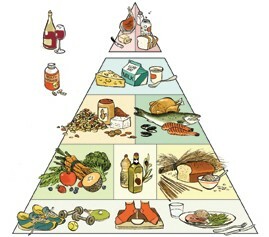 Go here to see the Healthy Eating Pyramid, Harvard’s alternative advice on good diet. Go with plants. Eating a plant-based diet is healthiest. Choose plenty of vegetables, fruits, whole grains, and healthy fats, like olive and canola oil. Cut way back on American staples. Red meat and processed meat, refined grains, potatoes, sugary drinks, and salty snacks are part of American culture, but they’re also really unhealthy. Go for a plant-based diet rich in non-starchy vegetables, fruits, and whole grains. And if you eat meat, fish and poultry are the best choices. Article first published as New Dietary Guidelines May Be Overly Influenced by Agribusiness on Technorati.